Hello Lovelies! I hope you all are doing well! Annnnnyways. 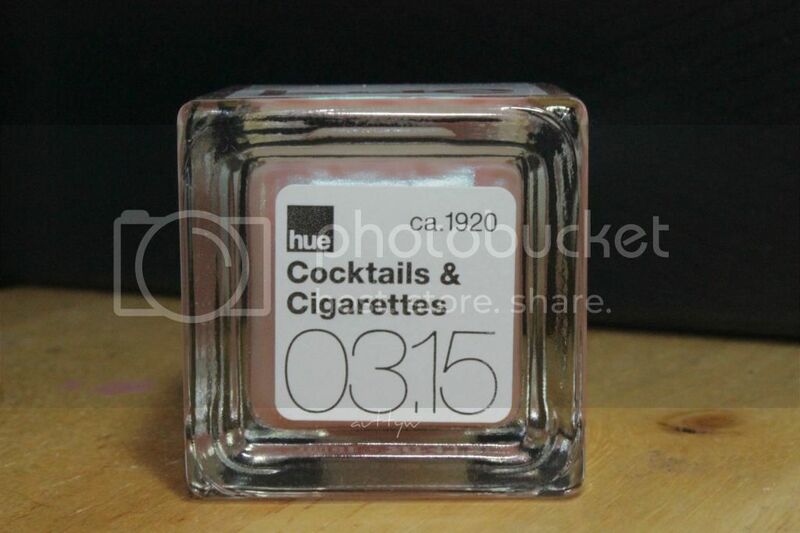 This months SquareHue box was based on the 1920's. I know from talking to a few people they were expecting a lot of glitz and glam with this box, and I hope that they're not disappointed. The colors don't scream 1920's era to me BUT they're all gorgeous in their own way. SquareHue chose these colors for a reason and I'm sure they represent something from each other their years! Okay, we need to discuss how ridiculously obsessed I am with this polish. First off this polish can be worn by itself for a sheer wash of color BUT once you put it on top of another polish, it really stands out. In the picture below, I swatched it alone, 3 coats and I applied 1 coat over a plain black polish. This polish is very reminiscent of the Cult Nails Deceptive Collection. Those were top coats and to me, this polish is exactly that. It's simply stunning. Now because of how sheer it is, you will never be able to built it's opacity up. I reallllllly thought that I was going to hate this polish. I've got a silver that looks similar to this and I despise it's life. However, this is really pretty. It's not one of those chunky micro glitter polishes, this is an extremely fine micro glitter. This polish is a definite two coater, unless you're daring and apply it thick, then it can be a one coater. 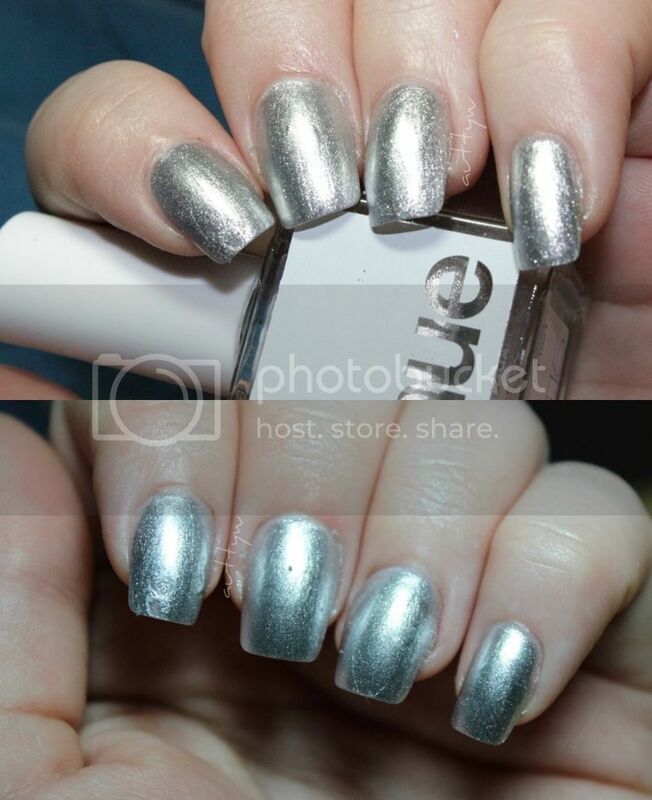 This is a metallic silver polish, then again aren't most silvers some kind of metallic? That's just the nature of silver. This polish though, I just can't get over how stunning and glitzy it is. This really pleased me to no end. I think it's a perfect fit to the 1920s. We need to just stop the presses and appreciate this polish. I mean seriously, just stop and look at it. 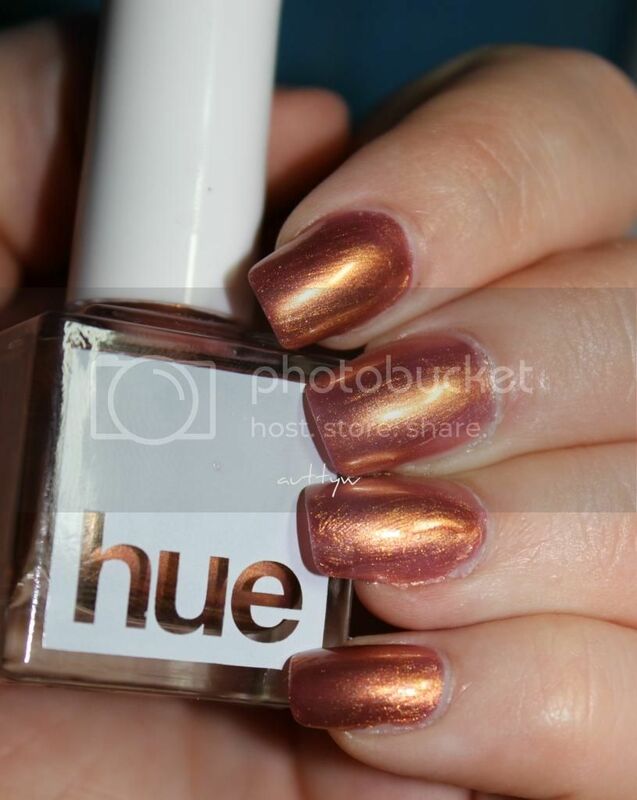 First off, this is a copper polish, I am obsessed with coppers (I need to buy more actually). However, in my opinion this is a unique polish, I don't have anything like it in my collection. This is pretty much like a serious secret duochorme. It's not obvious unless you see it. You get that deep copper shade with a lighter copper shimmer in it BUT this has pink undertones to it. In some light it looks a golden shimmer copper and in other lights it a rose gold copper. I mean, what's better then a rose cold copper?! I am so ridiculously obsessed with this polish that it's bordering on creepy. (Not really but you get the point right?) This polish is definitely a 2-3 maybe 4 coat polish depending on how thick/thin you apply it. On the pink & index finger I have 3 coats and on the ring & middle finger I have 2 coats. To address the formulas of the polishes. All of them are pretty much the same. They apply smoothly, but as you can see in Style & Speed you can see the brush strokes so do be aware of that. I don't have a favorite out of the trio because I actually like all of the polishes. Surprise surprise! I think Square Hue did a fantastic job with this months box. Superb! The polishes weren't too thin to where they flooded the cuticle and they weren't thick to where they were hard to work with. This is the formula of polish that I've become to associate with SH. I've also noticed that their polishes dry pretty which, that I appreciate. A woman is only defenseless when she is waiting for her nails to dry! What do you think of the polishes? Do you have a favorite? Are you waiting for your box?! Nice swatches of these polishes. I really like the look of Art & Deco. Nice swatches! I like the copper one. Wow can't believe the teal in the first one was just over a black polish! The combo came out gorgeous. 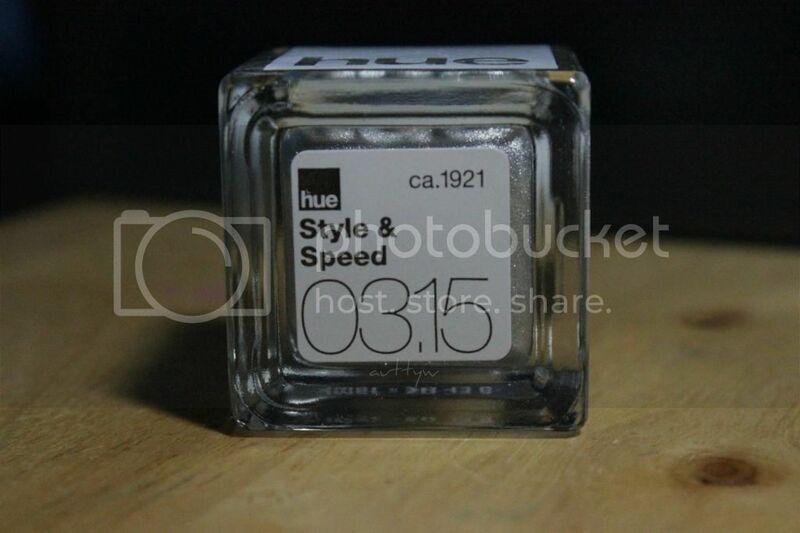 And Style & Speed is definitely for me...It just says "going to Gatsby's". I'd never heard of SquareHue before I definitely want to give it a try. Me too! 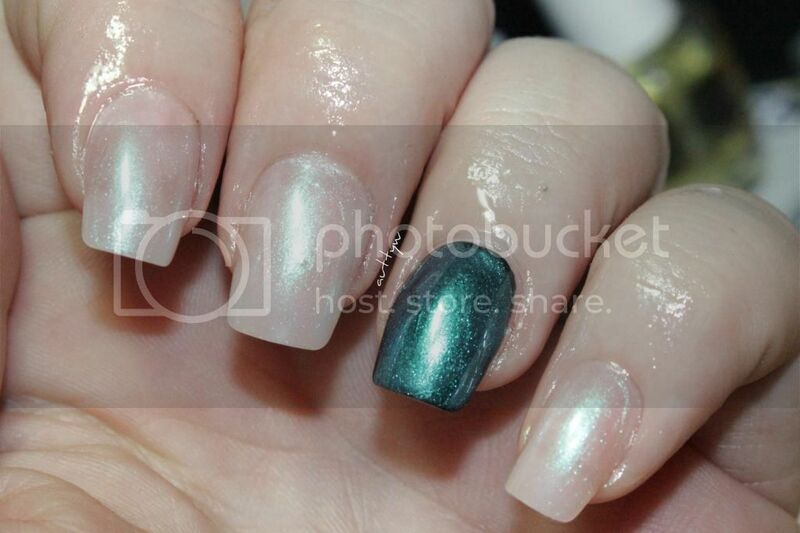 I need to get Captivated from Cult Nails' Deceptive collection and I'll have the entire set, but that wont happen! :P These are my favorite kind of polishes! It's ridiculous isn't it?! I put it over Art & Deco and it gives it a scattered teal look that is just stunning! They're based in Miami! I had heard about them here and there on IG, but never saw much until this year! The sheer pink is my favorite!! i've never heard of this box before. Is it like the Julep Maven box? I've never gotten a Julep Maven box before so I'm not sure if they're similar at all. 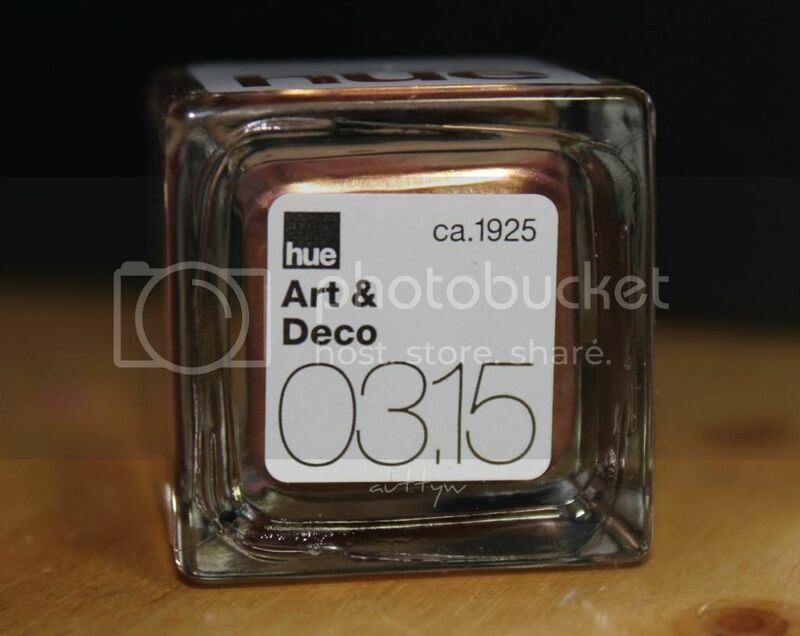 Square Hue sets a theme for a year and has polishes made specifically for each year. I think the only way you can get the polishes is by subscription.